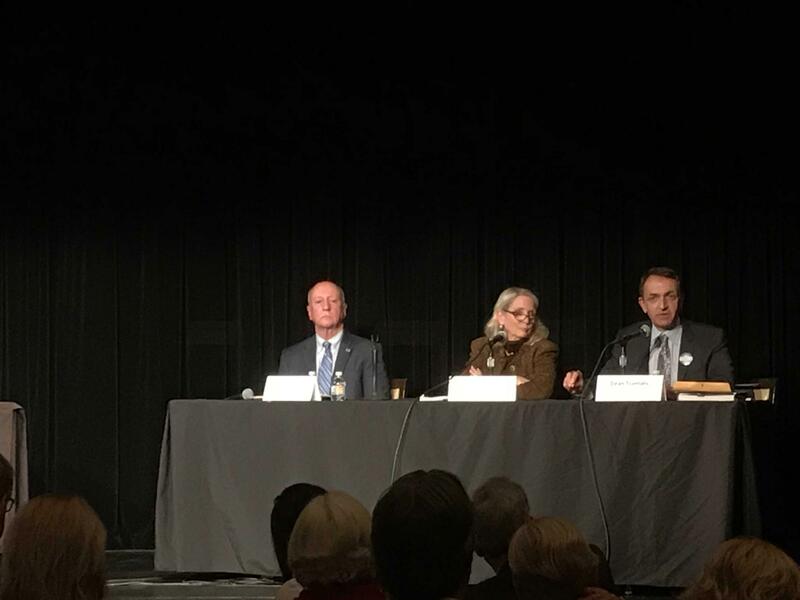 Candidates Bruce Roberts, left, Charlotte Rodstrom, middle, and Dean Trantalis, right, debated at the Broward Center For The Performing Arts Thursday night. The race to be the next mayor of Fort Lauderdale is on. The three candidates for the position debated at the Broward Center for the Performing Arts Thursday night. Questions for Bruce Roberts, Charlotte Rodstrom and Dean Trantalis came from a panel of journalists and Sun Sentinel readers, and mainly focused on the city’s infrastructure and sewer issues. Bonnie Gross is a voter who was in the audience. She said that while she was hoping to hear some talk about sea-level rise, she liked how the candidates set themselves apart from each other. “I really came in here not having strong opinions about the candidates, and I think they really did help me understand, kind of, what their different philosophies were, and their styles,” she said. Downtown resident Nancy Wheeler came to the debate with a mission: getting answers about The Wave streetcar project. “I think it’s been wrong that we’ve been taxed on it,” Wheeler said. All three candidates did come out as opposed to the Wave streetcar. The expected costs of the project were millions more than estimated by the county, and there is a re-bidding process. 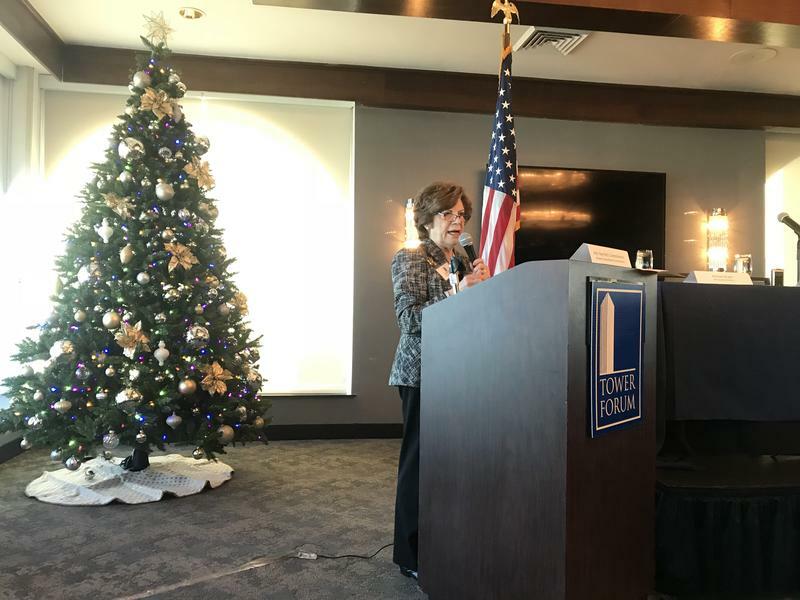 The debate, which was hosted by the Sun Sentinel, also delved into the possibility of building moratoriums downtown and negative mailers. Rodstrom and Trantalis both said they would support development moratoriums in the downtown area until sewer infrastructure could handle it. Though Trantalis said he felt the market already has created this building pause on its own. Roberts said he would need to look at each development project on a case-by-case basis, without signing a moratorium. Roberts also acknowledged during debate to using a political action committee, or PAC, to mail a negative flyer that portrayed Trantalis in theatrical clothing, and with rouge on his face. You can watch the full debate, here. The primary election for the race is Jan. 16. If no candidate receives more than 50 percent of the vote, the top two will face each other in the March 13 general election. 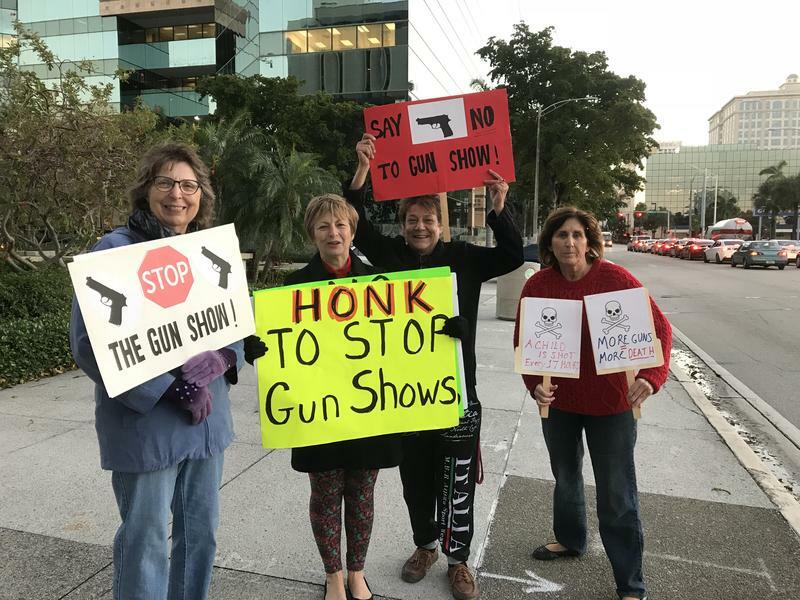 The debate over a long-running gun show in Fort Lauderdale’s Holiday Park has carried over into the new year. 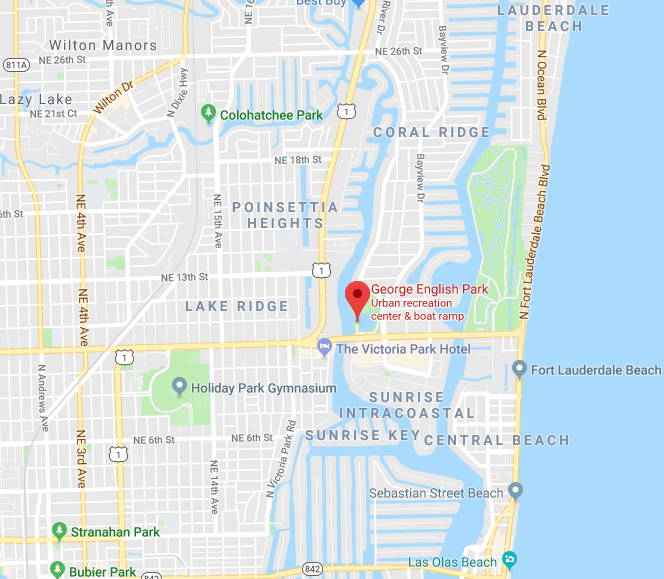 Fort Lauderdale's troublesome, aging sewage system just got a major update, according to a new city report. A 30-inch force main--a main support sewage line--that runs underneath SW 2nd St. started to repeatedly break near the end of 2016. So, the Public Works Department's Go Big, Go Fast campaign started with an emergency declaration to replace the pipe at the end of September this year.